You like moba ? you like even anime characters. 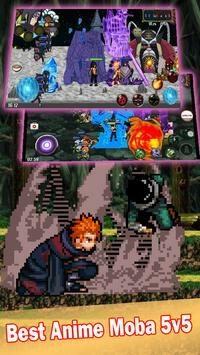 This our game made by anime fan community with style 5v5 moba rpg game. You can choose 1 from 50 heroes and 4 teamates to build a perfect team for your battle. It's promise a best anime battle moba 5v5 game you 've played . Join hero moba arena and become the best valor. Moba Mobile classic type 5v5. 50 characters from anime, manga world. 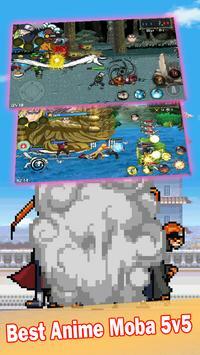 Collect coins, buy item and upgrade your hero level for unlocking many ultmiate skills. Using charka, ki, jutsu and many powerful other skills. Best mobile 5v5 moba arena. Be a best leader for your team, carry to win battle. Simple Controls, Easy to Master. Smart AI for both your team and enemy. Enjoy it, the best mobile moba you 've ever joined. 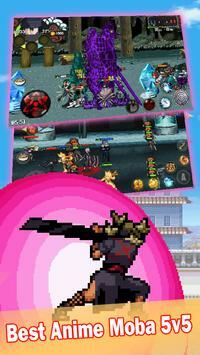 Please review League of Ninja: Moba Battle Game and submit your comments below. We will collect all comments in an effort to determine whether the League of Ninja: Moba Battle app is reliable, perform as expected and deliver the promised features and functionalities.